Spalding Air Conditioning Services Ltd is a well established Air conditioning company that has built up an enviable reputation over the last 12 years. We pride ourselves on our commitment to provide a professional and speedy service at all times, whilst maintaining the highest quality of work. 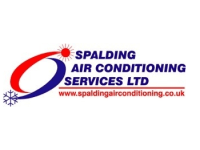 Spalding Air Conditioning Services Ltd are specialists in the installation maintenance and repair of renewable energy climate control air conditioning systems. By using the very latest technology in your Business or Home we can eliminate high heating costs and save you money on your energy bills. Air Conditioning Heat pumps are effective solutions to heating and cooling applications for all types of buildings, commercial, Schools, retail premises including hotels and residential complexes.